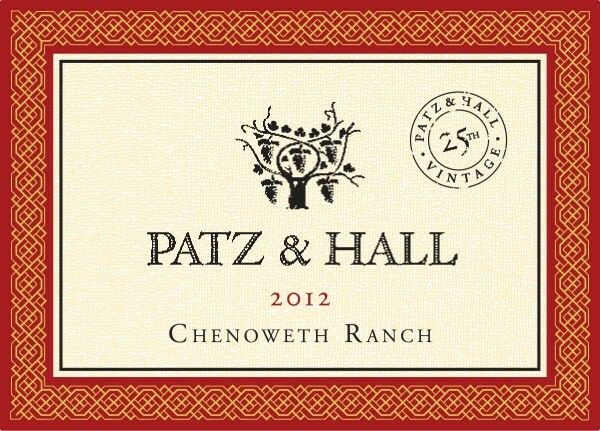 This wine is 100% Pinot noir sourced from Chenoweth Ranch. Planted in Goldridge soils on the far western edge of the Russian River Valley appellation, this beautiful 7-acre vineyard is located in Green valley, one of the region’s coolest areas, and is farmed exclusively for Patz & Hall. Though enjoying excellent sunlight from its slight south-facing orientation, the vineyard is sheltered by steep western hills, which protect the Dijon clone grapes from late-afternoon baking, while helping he fruit to retain natural acidity. This wine undergoes a multi-yeast fermentation (wild and cultured) with 10% whole clusters. The wine then undergoes full malo-lactic fermentation in Burgundian French oak barrels (65% new). Bottled without fining or filtration.